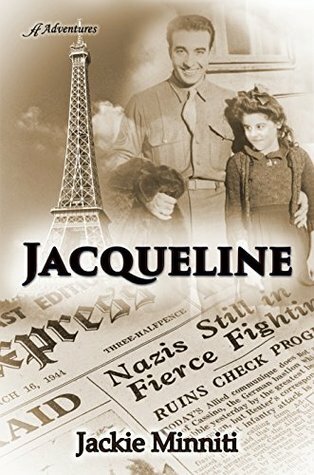 Based on a true story, Jackie Minniti’s Jacqueline chronicles the life of a young girl growing up in Rennes, France during World War II. 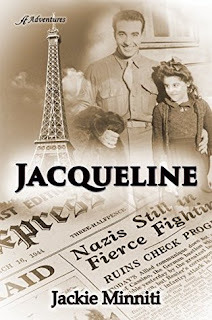 Ten year old Jacqueline and her mother learn through a letter that her father is presumed dead, or captured, after his plane has been shot down. Clinging to the hope that her beloved father may still be alive, Jacqueline endures the atrocities of war. When her Jewish neighbors are “relocated” to a Nazi concentration camp their young son moves into Jacqueline’s home, posing as her cousin. With scarcely enough food and resources to survive, she maintains her faith despite all odds. Through the eyes of this spirited young girl, readers encounter air-raids, food-shortages, fear and conflict. Author Jackie Minniti has written a highly engaging book which will intrigue young readers. As Jacqueline remakes her mother’s old dress into a “new” outfit, wears outgrown shoes (which are better than no shoes at all), and sneaks around to hear radio programs about the war, readers are introduced, in an age appropriate manner, to the struggles of war. Jacqueline is recommended for home and school libraries and has received the Literary Classics Seal of Approval.